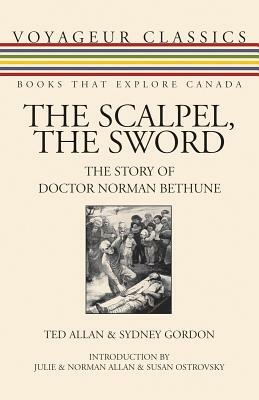 'The Scalpel, the Sword' celebrates the turbulent career of Dr. Norman Bethune (1890-1939), a brilliant surgeon, campaigner for socialized medicine, and communist. First published in 1952. Here reporinted in the 'Voyageur Classics' series. 368pp, a few photo illustrations. Bright, clean, freshg and unmarked copy - about 'as new'. Tight, square binding, no spine creases. Weight, 480g. We ship Worldwide, use both Canada Post and the United States Postal Service, and offer postal charges based on our actual costs, without overcharging. This item weighs g unpacked. Canadian domestic postal rates rise with weight, size and distance; Rates to the USA calculated by weight alone as per the USPS. World rates are based on specific destination and weight. Online estimates by the Listing Site may not be correct and either additional, or reduced postage may be required, particularly for Canadian and Overseas shipments, but not usually to the USA. In case of doubt please email.